Who is a “good fit?” A person who fits in with the culture of the department and company in general. If you’re loud and talk too much, you might not be right for an accounting department that needs absolute quiet. If you’re shy and don’t like talking to people, you probably shouldn’t go into sales. Some companies embrace a “family” culture, where everyone knows everybody else. Others are full of people who never interact. Find out what the company culture is like at the business you’re interviewing at, and explain how that matches your own preferences and values in a few short sentences. Your interviewer wants to know what you can bring to the table. What makes you better than the last girl or guy he interviewed an hour ago? Focus on your accomplishments and use metrics. How you increased ROI by 5%, raised page views by a certain number, increased your personal assembly time by a specific amount in a year, or freed up however many hours of your executive’s schedule. 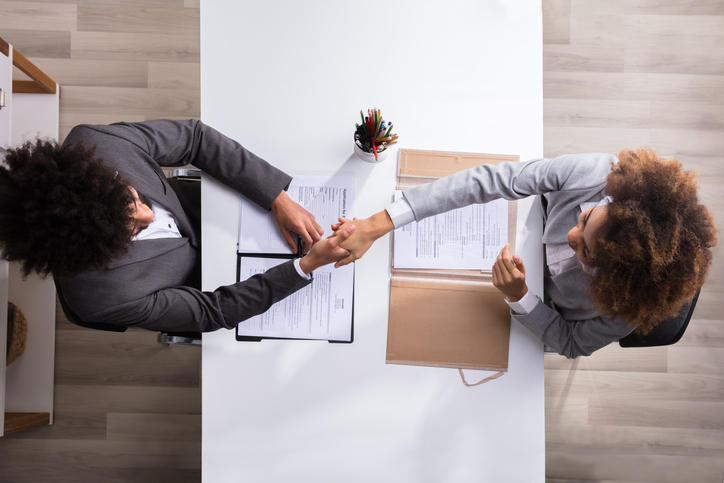 By showing that you’ve succeeded at previous positions and matching those accomplishments to the job description you’re applying for, you show your interviewer you’re valuable. So, this means qualities like being flexible, a great leader, a stellar conversationalist, etc. And there you have it. Everything you need to answer the question: Why Should I Hire You? Combine each of these into your answer, prepare well in advance, and you’ll sail through your interviews.